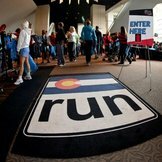 DENVER, CO – Come on down for some fun, fitness and friends at City Park in downtown Denver for the Colfax Marathon weekend on May 16th and 17th. Ascend Performing Arts is thrilled to announce their position as one of 170 Charity Partners for the 10th anniversary of this exciting event. The Colfax Marathon was recognized by Runner’s World magazine as one of the Top-10 marathons in the nation, and consists of three days, five races, and one of the biggest Charity Partner Programs in the country. If running long distances at early hours isn’t quite your cup of tea, you can still take part in the amazing atmosphere of this event by volunteering. By volunteering, you not only help the marathon run smoothly, but helping Ascend Performing Arts raise awareness in our local community. Those who would like to volunteer on behalf of Ascend should contact Volunteer@AscendPerformingArts.org.